A board of directors is used in a number of settings, including the corporate world, academic institutions and nonprofit organizations. The size and formation of a board of directors is usually determined by the needs of the particular institution or business. The board of directors governs the overall operations and future plans of a corporation or institution. The size of a board of directors can be anywhere from a handful of people to a large number. A company's shareholders vote at annual general meetings on the formation of the board of directors. The chief executive officer (CEO) has oversight responsibility for the activities of the business. Among other duties, the CEO is responsible for signing contracts and documents that have a legal impact on the corporation. The CEO generally reports to the board of directors. The chief operating officer (COO) is in charge of the everyday operations of a company and reports directly to the CEO on matters of corporate importance. What Are the Duties of Organizational Officers? The treasurer or chief financial officer (CFO) is in charge of nearly all of the financial operations of a corporation or institution. This is the officer that is held responsible for the financial affairs of the entity in the event of noncompliance with proper financial and accounting practices. 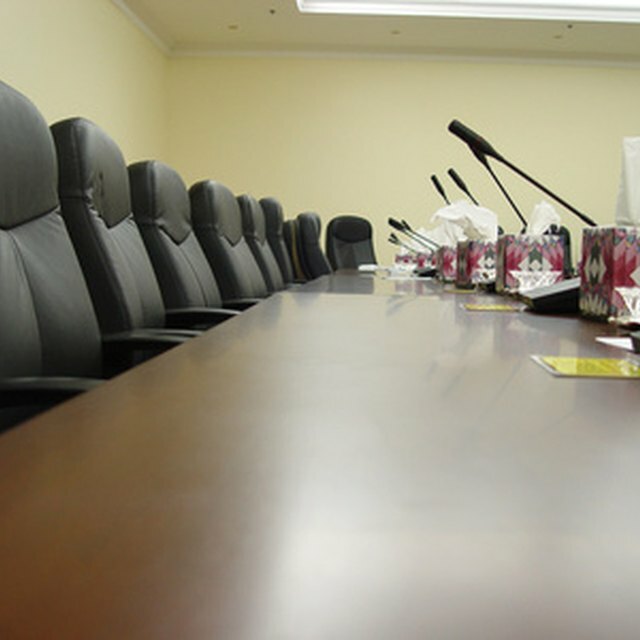 The secretary of the board documents the minutes of shareholder meetings; other duties of the secretary include the handling of records and documents detailing the activities of the corporation or institution. In nonprofit and educational institutions, the governing board is known as the board of trustees, which is responsible for instituting policy matters and ensuring the financial health of the organization. In comparison to a board of directors, a board of trustees has varying levels of responsibility for day-to-day running of the organization, which is handled by the college president, who is usually elected by the board of trustees.